Obituary of John B. 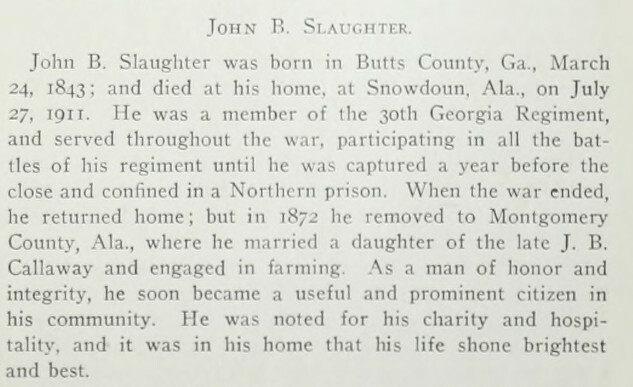 Slaughter, Montgomery County, Alabama. SOURCE:Confederate Veteran Magazine, November, 1911.